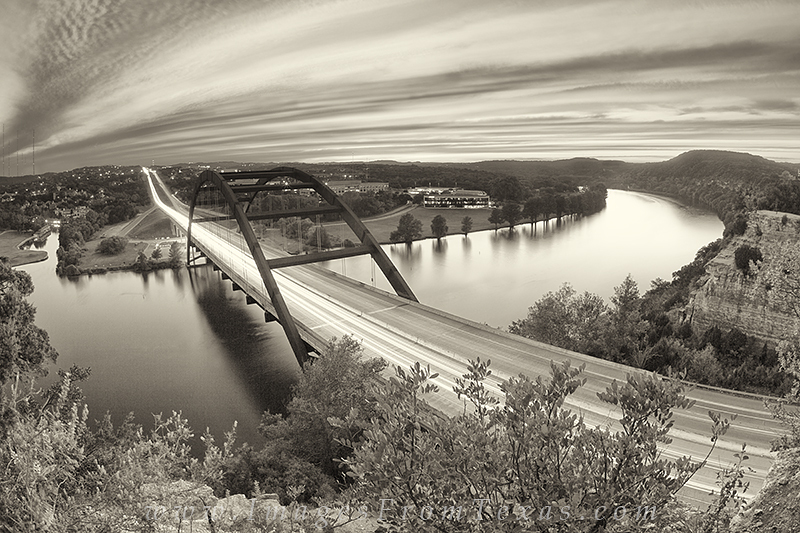 This image of Pennybacker Bridge near Austin Texas was taken with a fisheye lens. I knew it would be a good sunset, so I headed to one of my favorite places - the cliffs above the 360 Bridge - and waited for the light show to being. This was my reward. Photo © copyright by Rob Greebon.